Data has always been crucial to business owners. This has been true since the very first business started serving its customers. Today, businesses need more information than ever. The good news is that thanks to the growth of big data, more information than ever before is now available. Not only that, but it’s continuing to grow at a truly exponential rate. What should business owners know about it? The average business uses just 0.05% of the information to which it has access. Considering the immense amount of data used in even the average small company, that’s pretty staggering. Imagine what could be accomplished if the other 99.5% could be parsed, accessed, harnessed and put to work on your organisation’s behalf. Also, consider the fact that as more data is uncovered and generated, the per cent used by businesses is actually shrinking. Of course, not all data has value to business processes, but you can bet that more than 0.05% does. 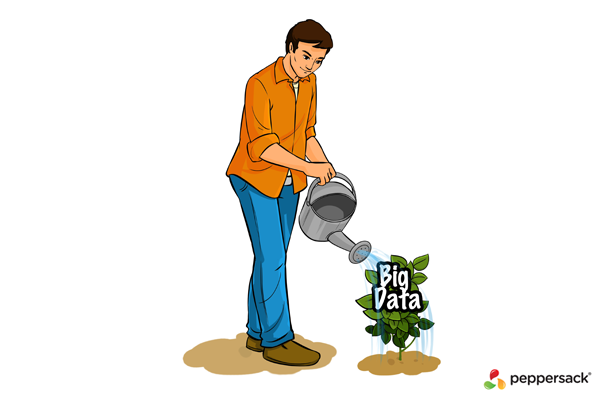 The growth of big data has been so astounding that new names have been coined to handle the numbers. Most of us are familiar with megabytes, gigabytes and terabytes, but what about petabytes, exabytes and zettabytes? These are pretty exotic sounding, and they’re truly astounding in terms of what they represent. A zettabyte is 1,000 exabytes, or 1,000,000 petabytes, or 1 billion terabytes. Why does this matter? Simply put, there is already 7.9 zettabytes of information being stored. By the year 2020, that number is expected to increase to 35 zettabytes. In short, data production in 2020 will have increased 44 times what it was in 2009. In the past, business data was largely structured. It was contained in neat databases, and at least somewhat easily accessible. Today’s data is made up of unstructured and semi-structured data. Rather than databases filled with numbers and letters, you have photographs, tweets, videos, phone calls, emails and a great deal more. It makes handling all that information incredibly challenging. This is only going to increase as the Internet of Things becomes more and more widespread, and new sensors come online. The rise of advanced automotive technology and self-driving vehicles will also fuel this increase, as will a thousand other things. Each builds on the others to create virtually limitless potential. One of the most compelling benefits about the incredible increase in data available to businesses is the ability to connect the dots and make new discoveries, uncover unique insights and create new relationships. The secret to making use of big data and ensuring that it serves your business’ goals is data science. Without these advanced techniques, all that information is mostly useless, and will do your business no good. Thankfully, Peppersack can provide the assistance required. We’re proud to offer complete end-to-end solutions for our clients, including data science and big data services. Contact us today to learn more.